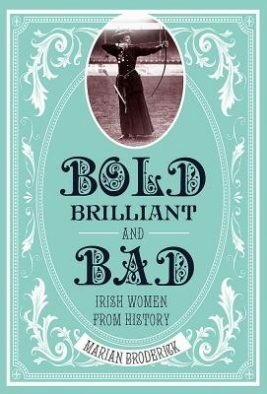 From every county in Ireland Bold, Brilliant & Bad draws together the stories of over 120 amazing Irish women. Marian Broderick is back to explore the histories of remarkable Irish Women in history. From creative craftswomen to singing sensations, poets to sporting champions. From Lilian Bland to Maeve Binchy and from Anne O’Brien to Professor Sheila Tinney, these women paved the way for the future and made massive changes in their various fields.